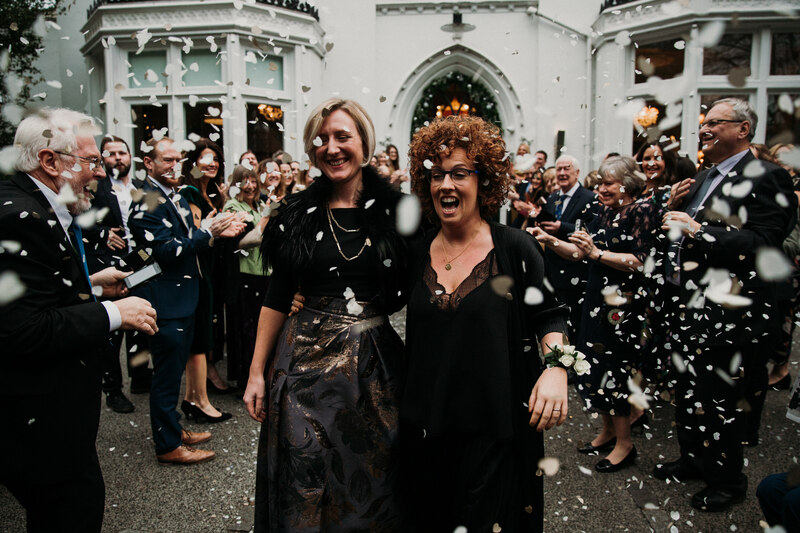 Introducing the opulent wedding of Lucy and Ellie who tied the knot at the eclectic Didsbury House Hotel. This South Manchester wedding venue is great for contemporary couples who are looking for a sophisticated location for a celebration. Lucy and Ellie could be described as one of the coolest and most creative couples we have ever photographed. 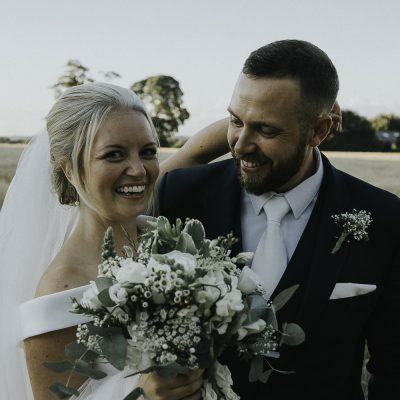 The popularity of this couple was certainly reflected in the ceremony room as it was packed with their many friends and family who helped generate a very warm atmosphere in anticipation. At the early stages of a wedding it’s always good to meet the people who officiate the wedding ceremony. On this occasion we were met with celebrant, Liz Thompson from Unity Ceremonies. We found Liz to be extremely friendly and accommodating towards us. Liz was also the most exquisitely presented celebrant we have ever worked with. As the very tasteful wedding ceremony, which encompassed some beautiful readings, came to a close. we headed to Fletcher Moss Park for some bridal portraits before the wedding reception and party commenced. As the wedding party sat down to their wedding breakfast. Me and Joanne took Eddie the dog for a stroll around the local area to peer at some of the big victorian townhouses scattered around. The evening entertainment commenced with the first dance which in this case was an epic way to get a wedding party underway. With the tunes being supplied by Lee Stone of Love Music Events. 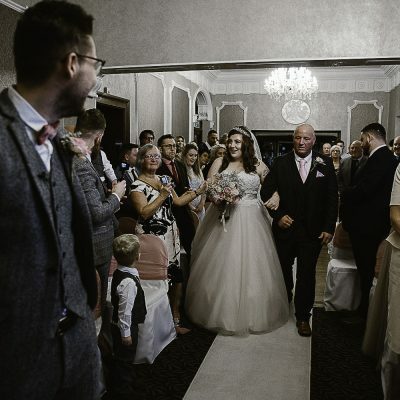 For more boutique wedding photography in Manchester then check out the wedding of Sarah and Mark who tied the knot at King Street Townhouse.